The British Council operates a reader development programme in many countries. The aim of this programme is to encourage more people in these countries to read, to highlight modern British culture and to provide training for external partners in sustainable reader development approaches. The British Council helped to set up eight reading groups in schools and universities at Almaty in Kazakhstan . In April 2005 the reading groups held a conference in Almaty. Tim met the reading groups and delivered a number of workshops. 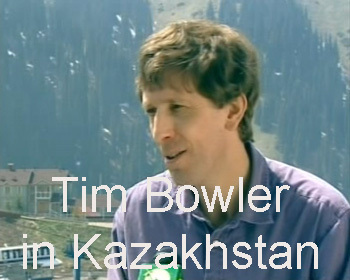 This video is a record of Tim’s visit to Almaty.